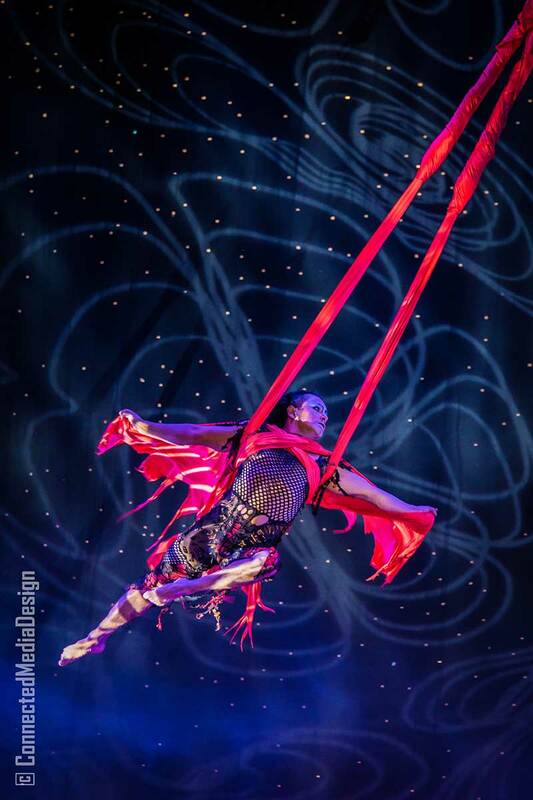 Each year Creative Director and Lone Star Circus founder Fanny Kerwich shares her life-long passion for the circus arts with audiences of all ages. 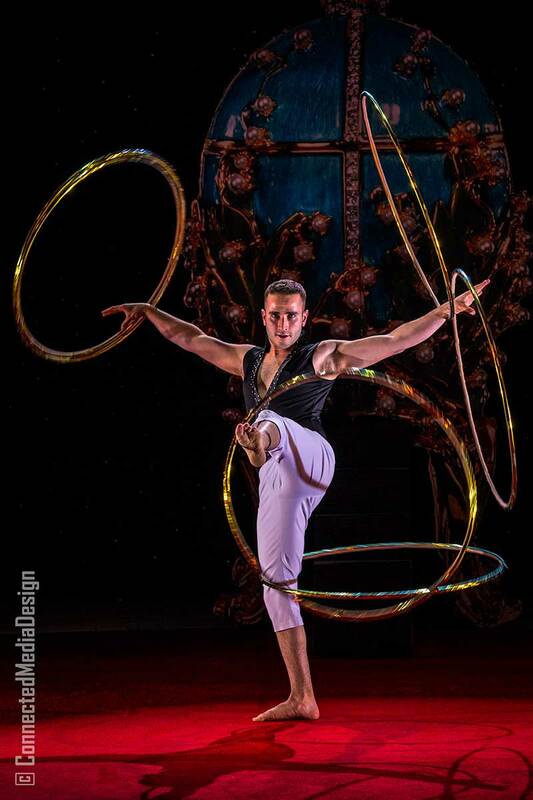 Kerwich, an eighth generation circus artist, manages to brilliantly mesh together and celebrate the artistry of local performers and internationally renowned circus stars. 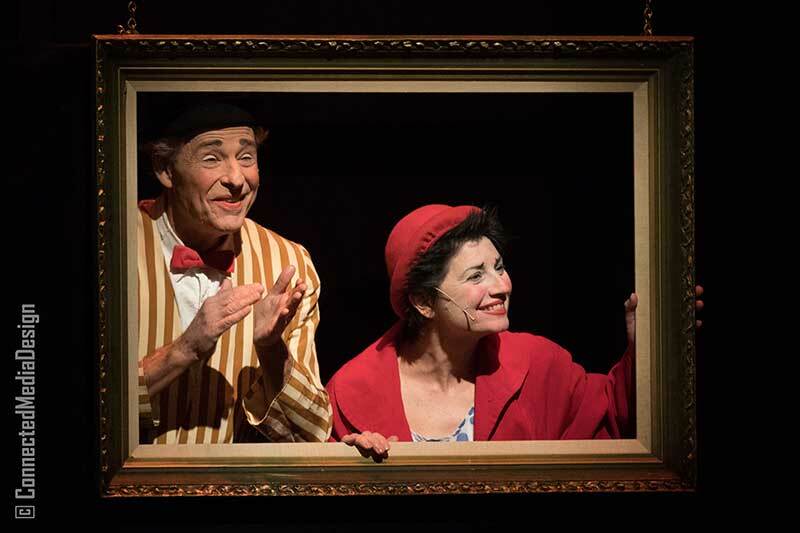 DFW looks forward to a brand new presentation and what has become an annual tradition over the last 11 years of ushering in the New Year at Dallas Children’s Theater with Lone Star Circus. My family and I are no exception. We’ve been attending Lone Star Circus’ holiday performances over the last few years and look forward to each new show with much anticipation. 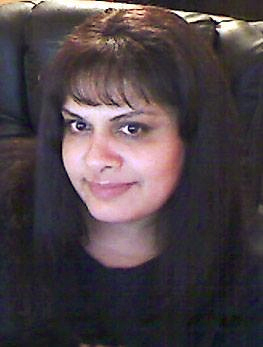 Every year there is something new and different to enjoy. And, the intimate setting at DCT makes for stunning sound and visuals with each performance. In fact, there isn’t a bad seat in the house at Dallas Children’s Theater! There were many standouts in Cirque Joyeux’s premiere last night. You could have heard a pin drop it was so quiet as the audience watched Geddy Pavlovich not only balance but spin around while balancing on no less than 7 cylinders during his Rolla Bolla act – wow! 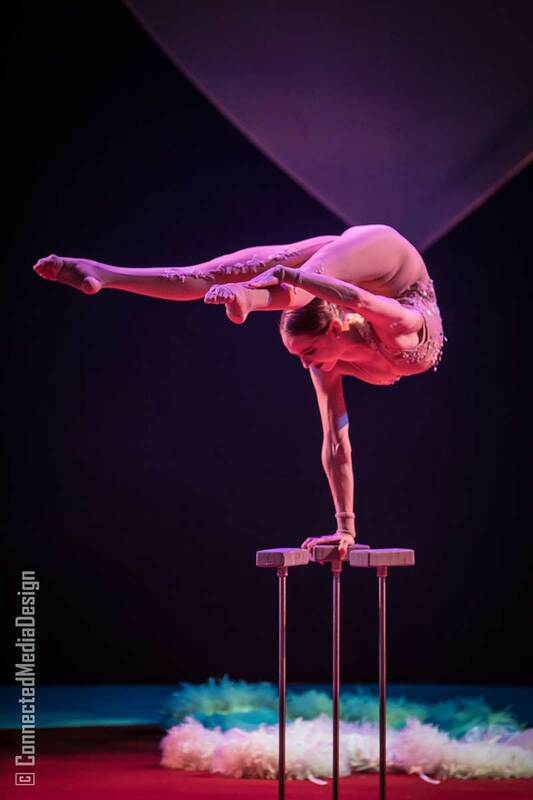 Irina Naumenko of Cirque du Soleil fame showed abundant grace and elegance during her hand balancing and contortion act. My daughter and I were full of “ooh’s and ahh’s” watching Naumenko fluidly contort her body while she balanced on one hand. 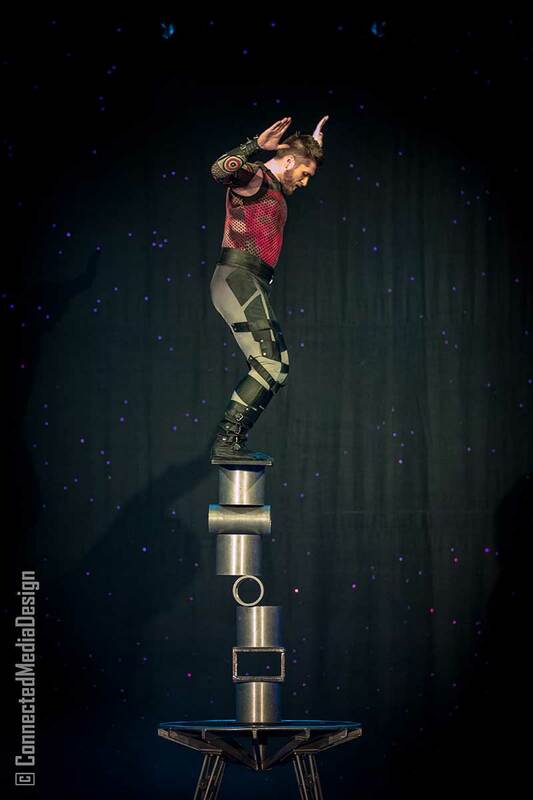 Rokardy mesmerized us with his agility and style as he balanced on more than five chairs, including one that was tilted. At one point he even balanced on an upside down bottle on top of all those chairs! 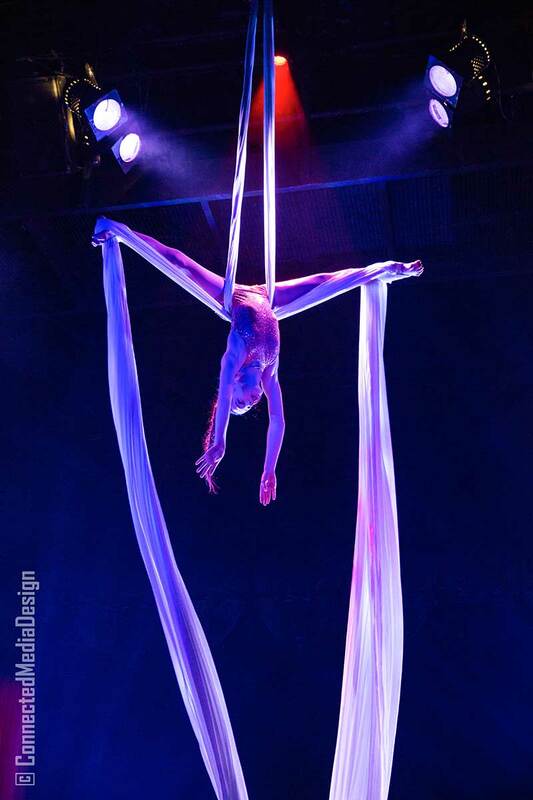 Angelo Rodriguez performed in Lone Star Circus’ very first production and returned to the stage last night with an amazing performance on the aerial strap and silks. 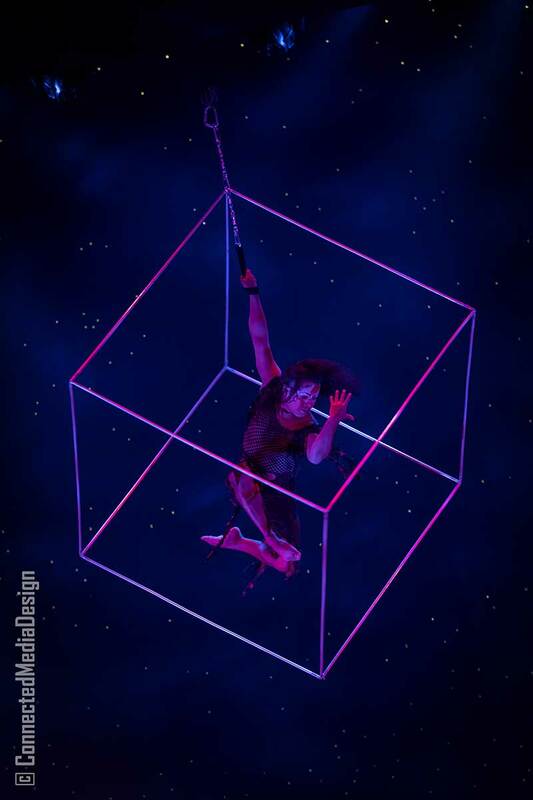 Part of his act includes balancing and spinning a huge metal cube structure as he holds on with just one hand to an aerial strap. Rodriguez showed great versatility and control and it was a pleasure to watch him perform. 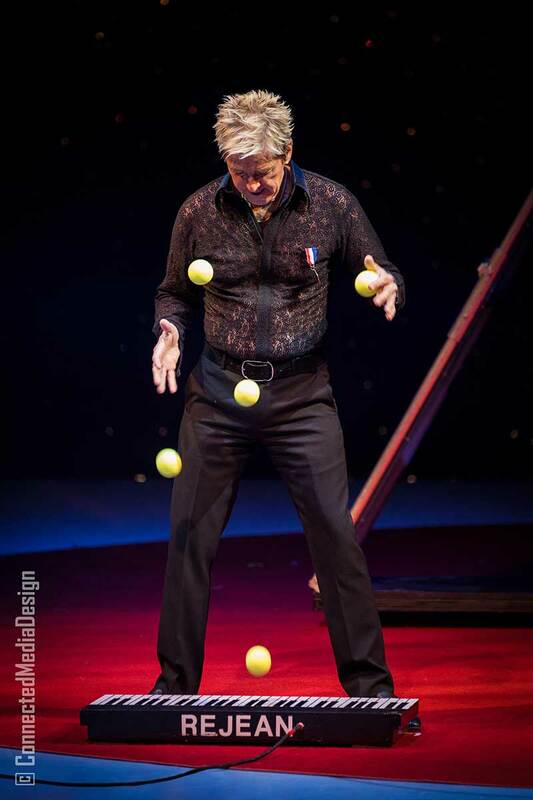 Long time Las Vegas performer Rejean St. Jules entertained us with his fabulous juggling skills. His repertoire of talent includes playing a keyboard using multiple tennis balls to hit the keys – such fun! Local talent in Cirque Joyeux included Asaf Mor who performed a cool Hula Hoop act and 11-year-old Gitana Doyle (Kerwich’s daughter with husband Mark) who did a terrific job on aerial silks right in the middle of the audience! 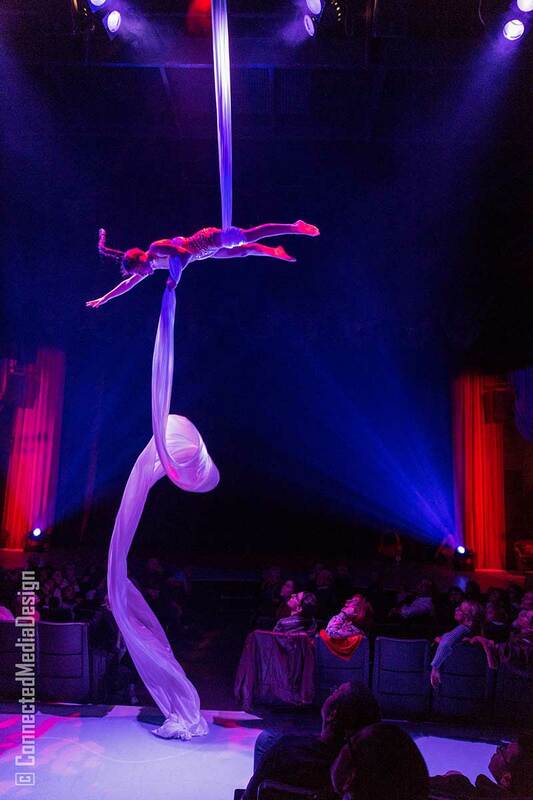 Gitana, fondly called “Gigi” by her mom is a ninth-generation circus artist who has been performing since she was a toddler. Gigi trains at Lone Star Circus School also founded by Kerwich. As a mom myself, it was neat seeing Kerwich nearby as her daughter performed, beaming with pride. It wouldn’t be a Lone Star Circus show without at least an appearance by clown duo Slappy and Monday. 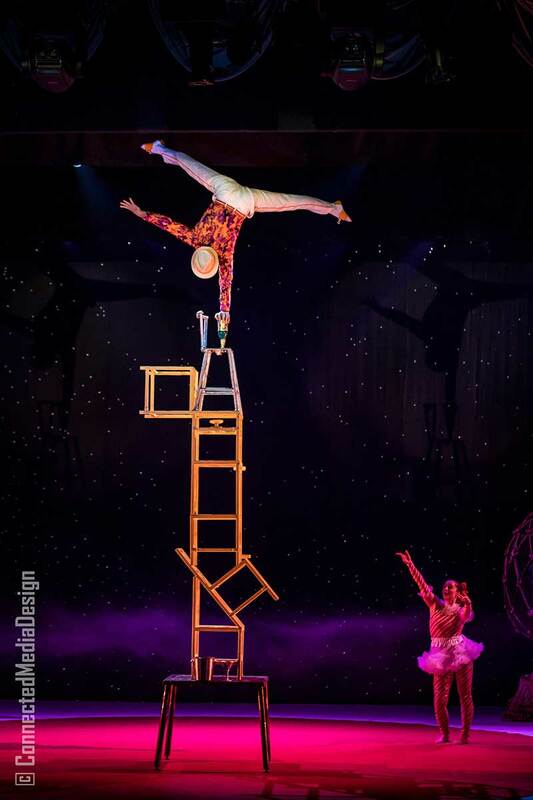 Though we would have loved to have seen more of this hilarious couple because they always bring such great energy, their presence during the production and after the show rounded out the family atmosphere that is Lone Star Circus. 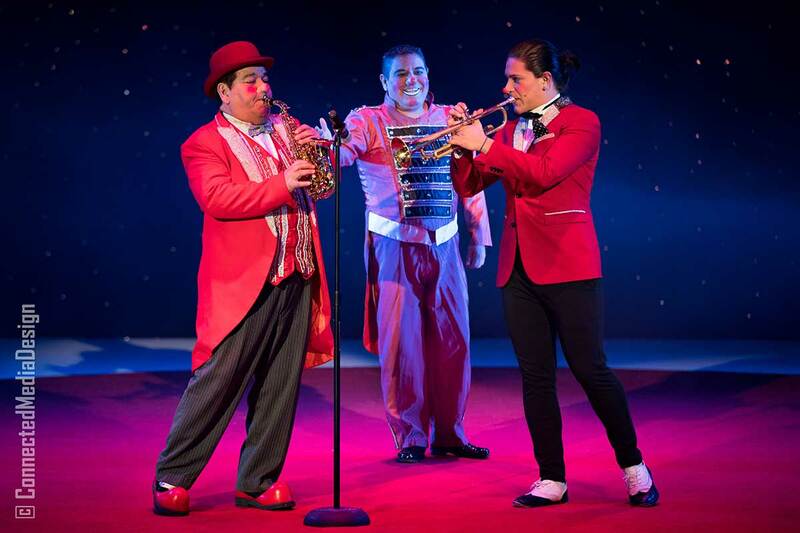 This year, we were treated to The Campa Family, a Mexican family of musical clowns whose comedic antics were a pleasure to behold. These guys have such great harmony and chemistry and they are hilarious! A highlight of the evening for us was seeing Johnathan Lee Iverson host Cirque Joyeux. Iverson was named one of the ten most fascinating people of 1999 by Barbara Walters and also has the distinction of being the youngest and first African American ringmaster of Ringling Bros. and Barnum & Bailey circus. He is also the last ringmaster of this iconic circus that said farewell to millions of fans this spring. 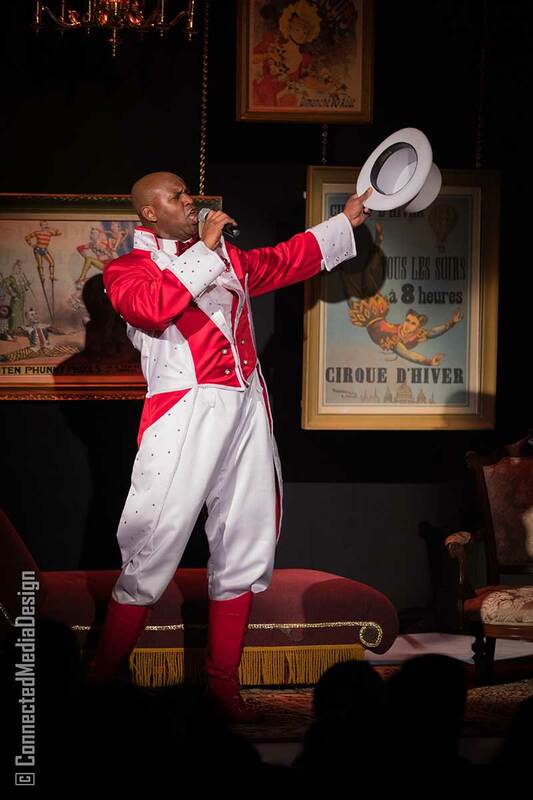 Iverson’s great singing voice and vivacious personality are perfect for his role as host of Cirque Joyeux. As of this writing, Cirque Joyeux is performing 7 more shows until January 1, 2018 and two of these performances are already sold out! 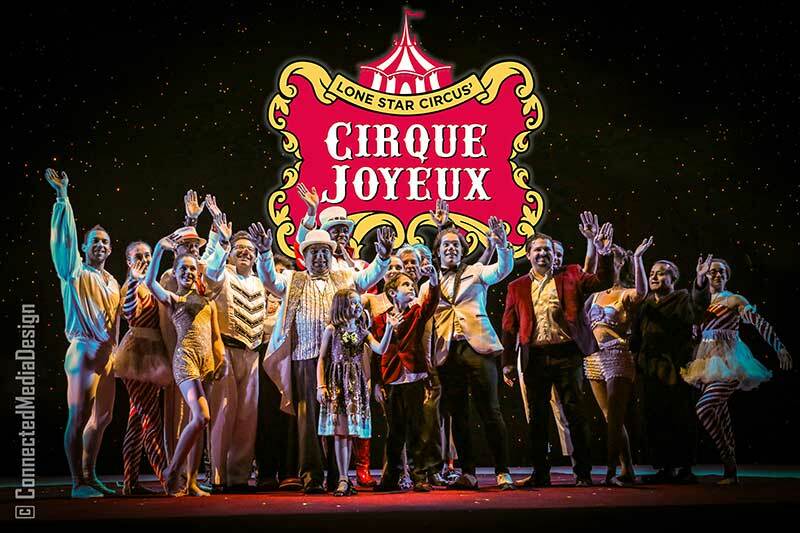 Get your tickets while they’re still available and join in on the tradition of celebrating the New Year with Lone Star Circus. Tickets can be purchased on the Dallas Children’s Website at www.dct.org or by calling the box office at: 214-740-0051. Your family is sure to have a great time!